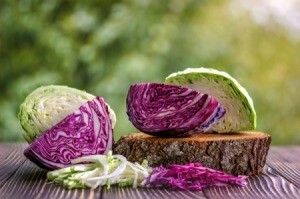 There are several ways to reduce the odor of cooking cabbage. Try, adding a celery stick or lemon wedge to the pot. Some cooks use vinegar and a walnut in the shell is also suggested. This is a guide about reducing cabbage odor. To keep cabbage odor to a minimum when cooking, put a piece of celery or a wedge of lemon in the kettle. It will soak up the odor. Maybe you know that adding a raw potato to soup or stew is too salty will remove enough of the salt to save supper. Just remove the potato before serving. But did you know that by adding a whole walnut (in the shell) to cooking cabbage it will cut the odor? I love cooked cabbage, but I don't like the smell it leaves in the house. To remedy that, I add just a little vinegar to the cooking water. It helps reduce the odor a lot!